Another fun day at the shop! 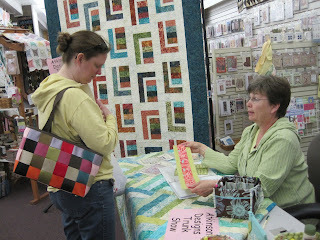 Lorrie Franz from Bean Counter Quilts was with us all day. 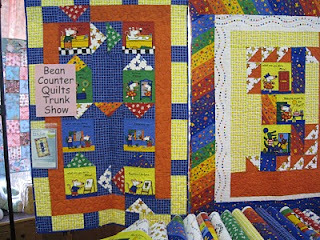 If you are looking for quick and easy baby quilt to make, you should take a look at these. 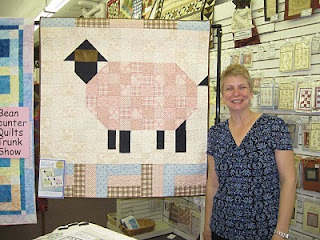 I love Bouncing Borders and her new Sheep quilt! 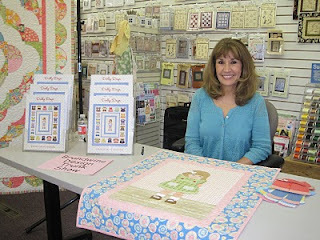 Tomorrow brings Mary from MH Designs. Her new bag pattern has been a huge hit already. I like that it is a little more "dressed-up" from the normal "Quiltie" looking purses that are out there. I can't believe tomorrow is the last day of the hop. Many gals have already handed in there finished stamped cards! It's so nice to hear all of you who want to hand in their cards at Bear Patch. Come join us tomorrow- can't wait to see you! We started our day with Linda Hohag from Brandywine Design. Her new book of appliqued paperdolls was just too cute! 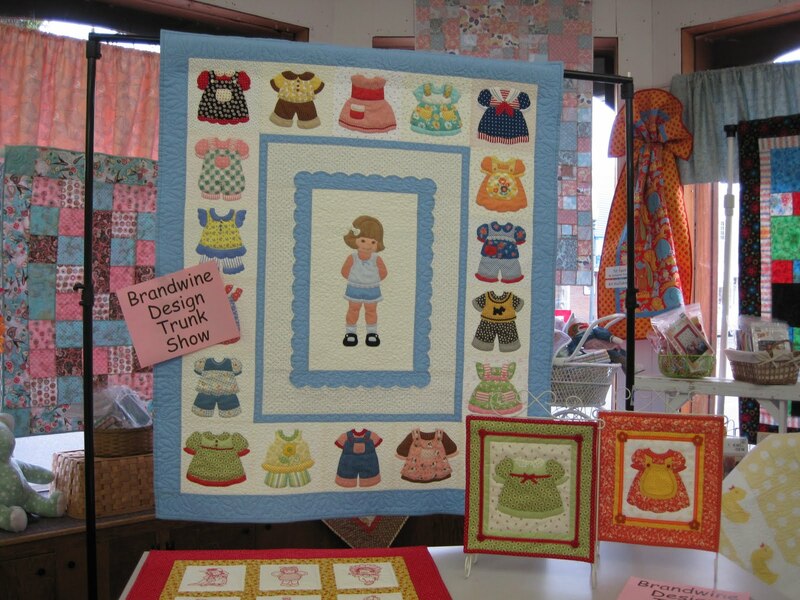 We all found our inner child as we changed the dolly's outfit. 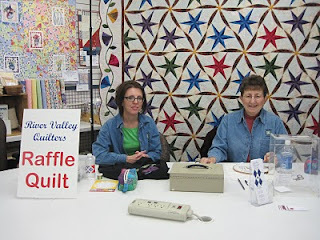 I think we would make the quilt- or at least a block and never give it away. 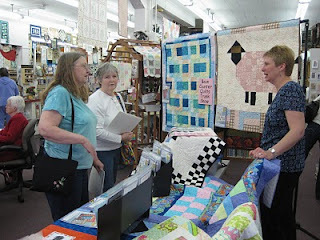 With 4 new patterns, Terry Atkinson entertained us in the afternoon. Urban Cabin was a huge hit. After seeing her demo of "easy to insert" zipper techniques, we will all be on our way to making zillions of Ca$h and Carry bags. You won't be able to make just one! The kits are inexpensive and include everything you need to start creating. The Woodbury Quilt Guild has a "not to be missed" raffle quilt. I would love to be the lucky winner! Friday brings Lorrie Franz from Bean Counter Quilts. 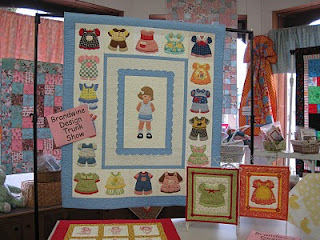 She will have lots of fun new samples and patterns. 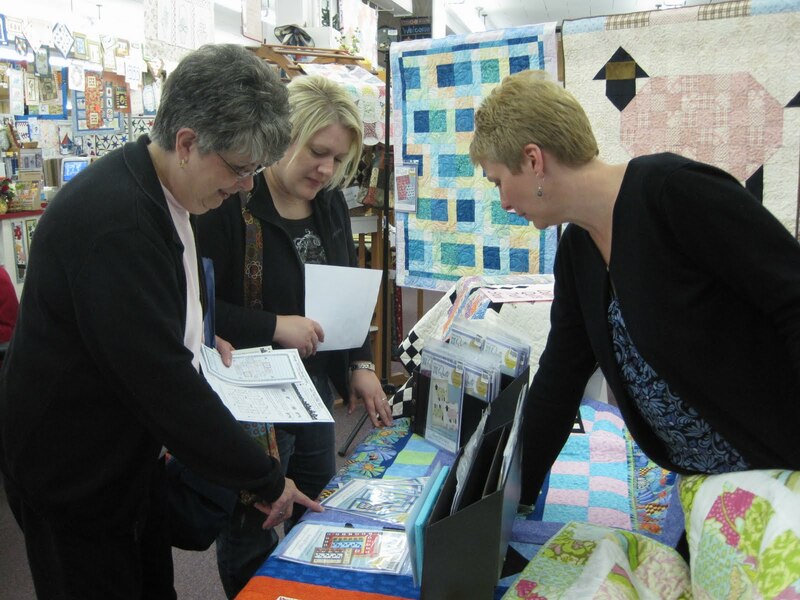 Mary from MH Designs will join us on Saturday. 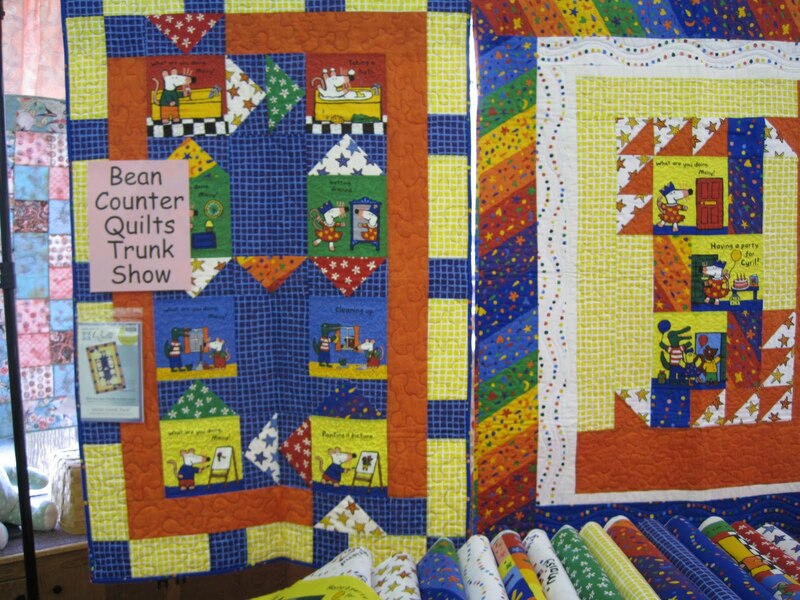 The Ducky quilt and Dribble bib are too adorable! After lots of coffee, lemonade, bars and cookies I think its time to get to bed. Tomorrow promises to be another fun day.